An artist's impression of Investec's latest residential development, The Neighbourhood. 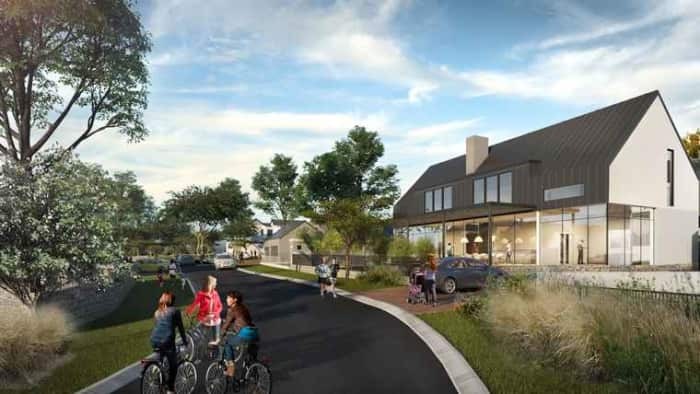 A new residential lifestyle development that celebrates the heritage and natural environment of Johannesburg’s historic Linksfield area is being launched by Investec Property this month. 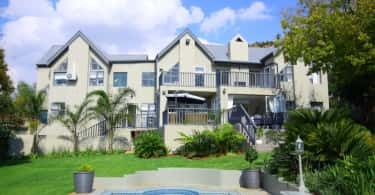 Aptly named, The Neighbourhood, this close-knit estate is set to be one of the few secure residential developments in the area, offering buyers a choice of upmarket stand-alone houses, cluster-style living or luxury loft apartments. Complementing the residential development will be a new village square, complete with a vibrant shopping walkway and plaza, which will offer the community the best of leisurely living, with plenty of options to shop, socialise, dine and unwind. The Neighbourhood is nestled beneath Linksfield Ridge, and lies adjacent to the Huddle Park precinct, a 220-hectare greenbelt that is home to a public golf course and other leisure amenities. Investec Property has carefully crafted a design for their approximately 53-hectare estate that complements the existing land and facilities, while delivering a village-style development to meet the needs of families in the area. “Sensitive to the surrounding area, The Neighbourhood development will take up just a small portion of the natural parkland area that it is situated on, in fact the estate has been designed to fully maximise the beautiful views of the Huddle Golf Course and greenways. Adding to this, 40% of the new development will be open spaces – parks, gardens, walkways, tree-lined roads and a retail square. The concept is not about maximising the development, but providing a best-use solution. We have taken the time to understand the existing vegetation and our development will be thoughtfully built around the existing topography,” says Nicolas Kyriacos, Head of Mixed Use Developments at Investec Property (Pty) Ltd. Experienced South African architects, Boogertman & Partners and landscape architects, Landmark Studios, have created a design that resonates with the history and architecture of the area, while ensuring that the large majority of existing trees and vegetation remain intact. New indigenous plant life will be incorporated into the landscaping and lush green spaces will be a feature of the estate. “With regards to the landscaping considerations, all the trees were surveyed, and a master plan was created so that the development maximises the number of existing trees that could be retained. While this isn’t the most economical way to develop, these mature trees add value and richness to The Neighbourhood, which is important to the overall concept and the community,” says Mark Young, Founder and Group Managing Director of Landmark Studios. Architecturally, the aesthetic takes its lead from the area’s rich heritage. Mining magnate, Sir Farrar, was a leader of the gold reef of the East Rand in the late 1800s and early 1900s and lived in a Herbert Baker-designed manor house, which is now part of St Andrews School for Girls in Bedfordview. Mahatma Gandhi also famously lived in the area in Satyagraha House, which is still an attraction today. Ideally located, The Neighbourhood has convenient access to the Linksfield off-ramp, is close to top schools and areas such as Bedfordview, Senderwood and Linksfield Ridge are easily accessible. “Location is everything, and The Neighbourhood is in a truly excellent family location. It is surrounded by three private schools, and it is the only secure, residential lifestyle estates in the area. It’s a well located urban area, where we feel there is a massive demand. This is already apparent by the interest we have gotten in the development so far. Without any marketing, we have a long list of names of interested purchasers on the list for the residential stands and lots of interest from retailers for The Square,” says Kyriacos. “We are excited to be developing such a unique offering that is designed to enrich the community, beautify and maintain this much-loved area and provide a secure, friendly environment for families to live in for generations. Exactly what a neighbourhood should do,” Kyriacos continues. Construction of The Neighbourhood officially begins in August 2017, with most of the stands in phase 1 and 2 already reserved. Since May 2017, Investec Property have been closing off and securing the area so that it is safe for visitors to the surrounding parkland. While there will be some disruption during the construction of the property, this will be managed as best as possible.